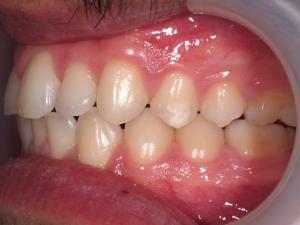 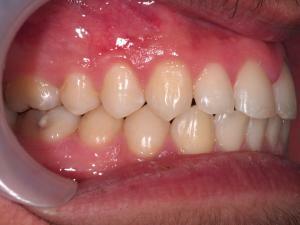 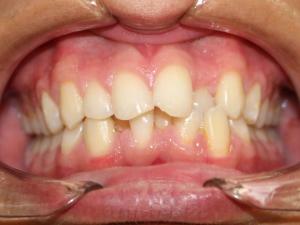 There is a common misconception that crowded teeth always need extractions. 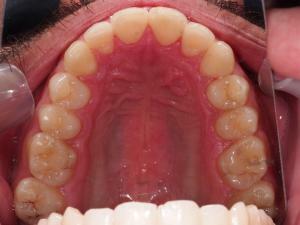 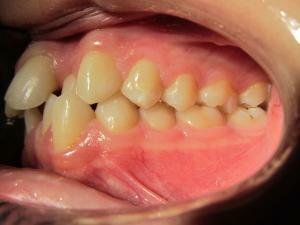 It is often possible to increase the amount of space by ‘expanding’ the arch that the teeth fit in. DM presented to us wanting straighter teeth, but thought extractions of teeth would be required to fit the teeth in, especially given there was so much crowding that one of the upper teeth was caught BEHIND the lower teeth! If you count the teeth in the mouth, you’ll notice no teeth were taken out. 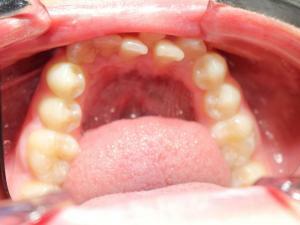 The arch has been increased in size to allow the teeth to fit. 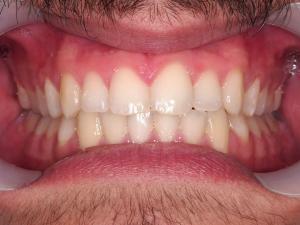 Even the position of the upper front tooth was corrected so that it is now located in front of the lower teeth, as it should be. 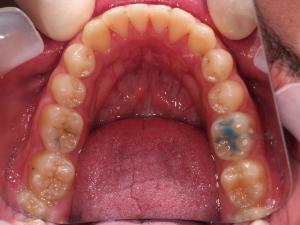 Disclaimer: Results from Individual treatment will vary according to clinical conditions and each case. eDentistry – where care and innovation meet. Understanding of the medical implications of dental health, and collaborating with general medical practitioners, ear/nose/throat specialists, sleep physicians, physiotherapists, etc. 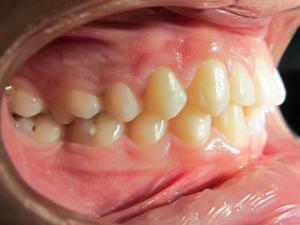 to achieve the most comprehensive care. eDentistry Wantirna opened on May 2017 with a vision to provide a unique service to patients, through digital dentistry. Digitisation of dental procedures not only increases the precision and quality of the work, but can also improve the comfort and efficiency of the procedure for patients. We service Wantirna South and its neighbouring suburbs which includes but not limited to: Vermont South, Wantirna, Bayswater, Glen Waverley, Boronia, Rowville Scoresby and Knoxfield.